The business messaging and team collaboration sphere is really booming, with Slack still the leader in the race. 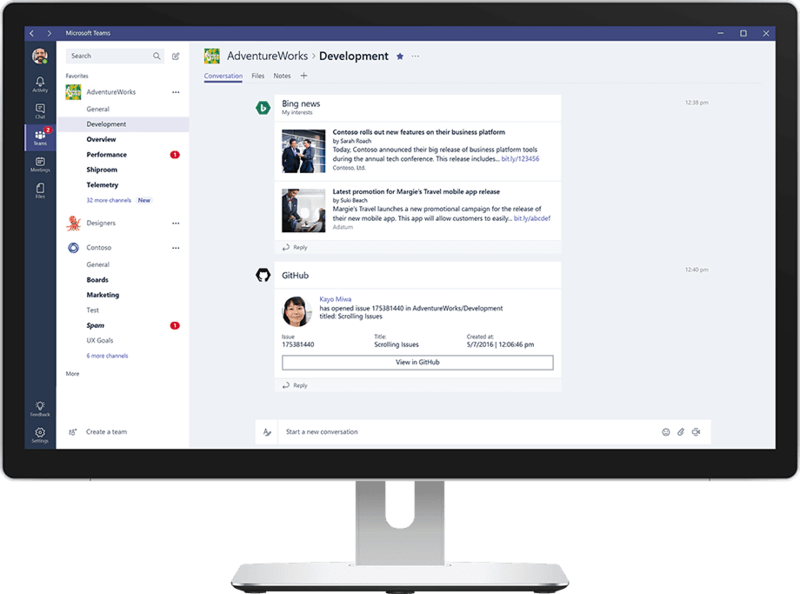 Facebook has recently launched their Facebook at Work platform, and Microsoft is just now unveiling its new Microsoft Teams competitor to really shake up the market. 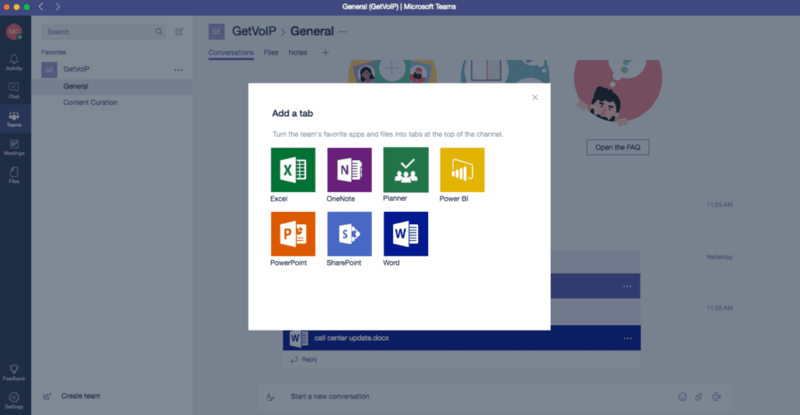 Teams isn’t available to all users just yet, but businesses with an Office 365 subscription can hop online and take a look at what Teams is all about. I was able to setup a trial for Office 365 and take some time to play around with Teams – and I’m pretty impressed. I’ll try to break it down with this quick glance at what Microsoft Teams is, and what it has to offer. So What Does Teams Even Do? 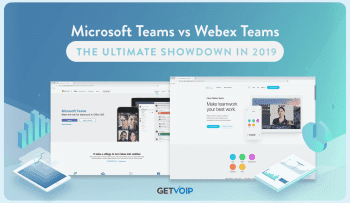 To start off, Microsoft Teams is not just another messaging app you download on your desktop and phone like Slack or even some competitors such as HipChat. Teams will only be available to businesses that have an Office 365 suite subscription – and it will be a completely free add-on to the already large package of tools. The app can be downloaded and installed on all of your computers and devices, but again your business will need an Office 365 subscription first. So while Slack does one thing and does it well, by providing quick and effective team messaging, Teams expands beyond that. With the Office 365 suite in its back pocket, Teams offers an experience Slack just won’t be able to match. Through direct integration with the rest of the Office 365 platform, Teams lets users quickly share Word or Excel files to be edited right within Teams, or sync up your Outlook inbox and schedule for quick access to all your upcoming meetings. Activity Feed: To see quickly receive updates and a recap, so you know what everyone is up to and discussing. Kind of like a Facebook news feed for your workday. We’ve seen this in a couple of other apps, and it’s definitely one of the better features to have. Chat: For those quick conversations with you and one other member of the team. Share files, discuss projects, start a video chat. Teams: This is where the app mimics Slack a bit more. You can create multiple teams, and within a team create multiple channels. This offers a great way to organize your teams and their conversations. Meetings: For quick access to all of your week’s upcoming meetings with the ability to schedule new meetings, receive all the necessary information about your upcoming meeting, and discuss with members of the meeting. Files: Where all your documents, excel spreadsheets, and shared photos lie. Quickly upload, or download, files available to the entire team or just one coworker. The entire app is also searchable to quickly find any piece of information you need. You can even extend each section with Tabs for quick access to different Office programs such as Word or PowerPoint, or even as many chat bots as your heart desires. Essentially, these extra tabs allow developers or admins to add in the functionality and content they feel best fits their teams. The overall design and UI of a platform is important, and yet even more important is the User Experience. Of course, the two go hand in hand – a UI should be designed for a positive UX. Microsoft has been transforming their overall design language ever since Windows 8, and even further with Windows 10. 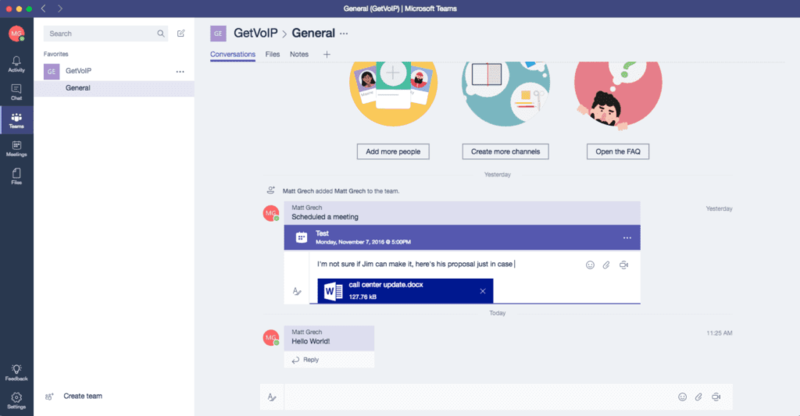 Microsoft Teams is no different, and will look familiar to anyone who is already using Office 365 (or really any updated Office apps, even OneNote). I think the design is solid, Blue Borders with White content sections help break up the app and allow your eye to recognize the difference between a menu and content. The left panel that houses all of your different sections is readable with both icons and small text, but not too large – some other apps will let you minimize or expand this panel, to me that just means it’s too big to begin with. And then when you minimize the panel, you can’t even find anything. Teams hits it right in the middle. This clean design leads to a positive UX, with easy navigation, a readable UI and minimal clutter. Now I don’t have an actual team using this platform with me, so I don’t have a full idea of what an explosive Activity feed would look like for a 400-person team, but based on what I have seen it does a solid job of keeping everything legible and digestible. The Chat section is what you would expect, one on one conversations, and the Teams tab takes what is essentially the entire platform of Slack and separates into its own unique section. As I said before, the design lends to this separation of channels for a very organize interface, paving way for a simple user experience. Everything is easy to operate and navigate, and between each section everything stays in roughly the same place – even the search bar up top. Settings is clearly labeled, and offers a quick access menu for all your necessary changes. Sprinkled in are some little extra bits, like the customization available to tailor your tabs based on whatever tabs or services your team uses most, or even the fact that you can make your text box larger so typing out long messages is much easier to read and edit. Without utilizing the platform with other team members for an extended period of time, it can be a bit difficult to get a proper feel for the UX. However, with my short time tinkering I have yet to get lost, or forget where I want to be or how to get there within Teams. I’ve even noticed some little extra quality of life functions that make the experience a good one. The entire Office 365 online portal, now that’s a different story. But at least Teams nails down the simple UI and UX. The Features, What Do You Get? 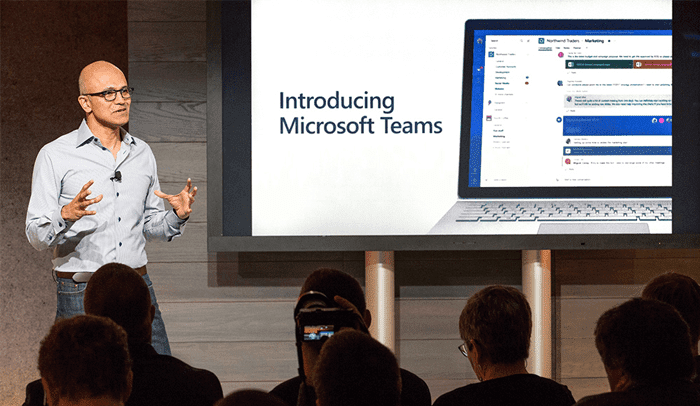 Microsoft hasn’t put out a full comprehensive feature list for Teams, but to sum it up – it does everything Slack will, and even a bit more. Microsoft Teams also doesn’t require you to use up any of your limited number of integrations, or install any third party integrations, just to extend your feature base. You can do that, of course, but you don’t have to just to enable Video chat for example. I’m very curious to extend my time with Teams, and would love to stack it against not only Slack but even some other competitors in a true head-to-head battle. However, with my short preview and quick look at the new collaboration platform from Microsoft, I’m definitely impressed. I’m not sure you get to keep some of the more unique features of Slack, like the infinite color customization or emoji and gif integrations, but when it comes down to a collaboration app to facilitate getting work done as productively as possible, Teams is off to a very solid start. To echo a previous statement, Slack does one thing well – it allows for simple and easy communication on all platforms. So between your computer, tablet or phone you can have the same conversation going and always access the same information. Its free, and a simply download and easy to use for any small team that just needs an easier way to get in touch that email. 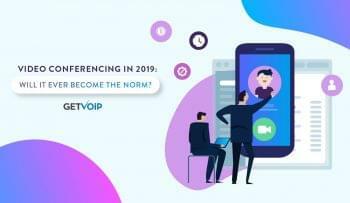 Voice and video conferencing, as well as file sharing are also possible in Slack so it does do a bit more, not just the text. However, Microsoft Teams is aiming a bit higher. The comparison reminds me of the one I made for Cisco Spark and Slack, where in its almost Apples to Oranges. 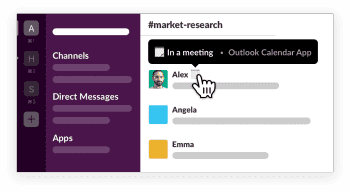 Microsoft Teams, and Spark in that case, offers even more than what Slack does – its going beyond the team messaging and adds in an extra level of collaboration, and even more channels for effective communication. On top of that, Microsoft is able to throw in their entire platform of Office tools already used by the vast majority of companies to extend the app just that much further. Its more than just chat, it has actual collaboration tools that will help users get work done a lot faster.